The Sonoma Collection brings inspired design and intelligent functionality to the modern bathroom. Featuring soft-close drawers with state-of-the-art Blum hardware, the 39-inch Sonoma vanity respects the serenity of your bathroom oasis. The wall-mounted style saves space and the Glossy White finish pleases the eye. Match the vanity with the handsome coordinating wall cabinet and mirror for a stunning ensemble look. Top not included. The Tropica 30 in. vanity adds warmth with a touch of nostalgia to your bathroom. Offered in a rich antique white finish over solid Poplar and veneer construction. Its features include soft-close cabinet hinges, adjustable height levelers and bottom open shelf for storage. It is accented with brushed nickel hardware. Enrich your bathroom ambience with this upscale 36 inch W vanity that is more affordable than it looks. With a classic white finish and a clean, sleek profile, this modern piece has an understated elegance that will impress homeowners and guests alike. Two cabinet doors with soft-stop bumpers and three left-side drawers open up a bevy of storage options for linens and bath essentials, setting the tone for a tidy powder room. The sturdiness and craftsmanship of this vanity cabinet will make you think it is custom-built, while small details like leg levelers instill confidence for perfectly stable setups. Gaze through the Foremost Ashburn collection for complementary white items like wall cabinets and mirrors for a complete bathroom makeover. Sonoma 39-Inch Vanity Cabinet in White The Sonoma Collection brings inspired design and intelligent functionality to the modern bathroom. Featuring soft-close drawers with state-of-the-art Blum hardware, the 39-inch Sonoma vanity respects the serenity of your bathroom oasis. 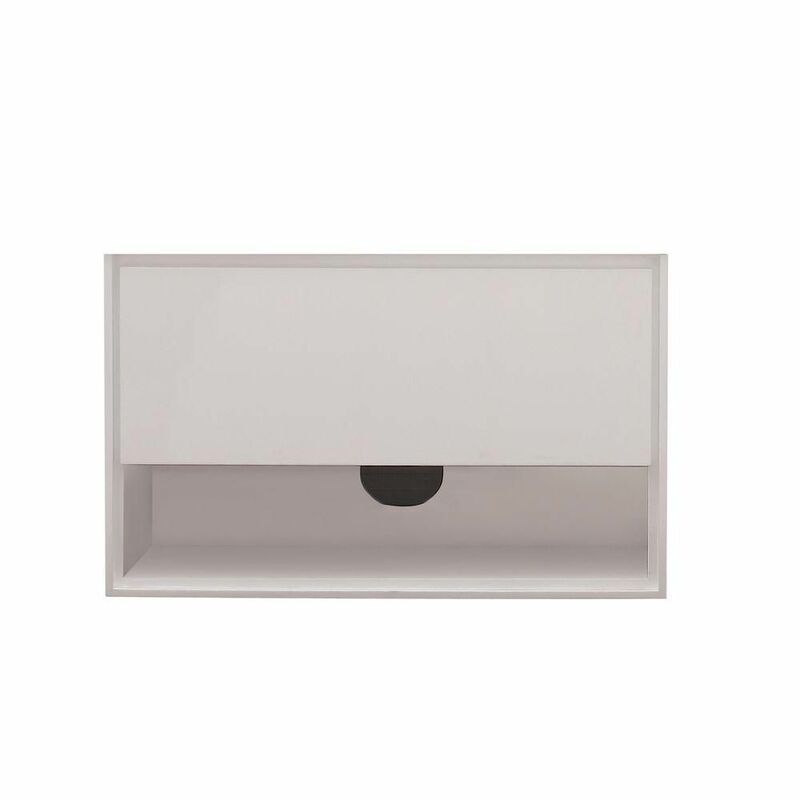 The wall-mounted style saves space and the Glossy White finish pleases the eye. Match the vanity with the handsome coordinating wall cabinet and mirror for a stunning ensemble look. Top not included.